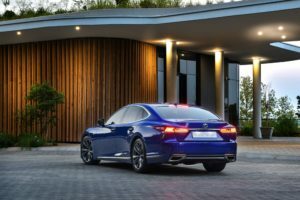 The new and highly awaited Lexus LS F Sport has finally reached Mzansi soil, gunning the AMG line Mercedes S Class and M Pack BMW 7 Series. 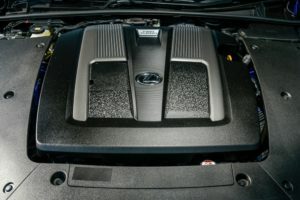 The standard LS already had a coupe-like silhouette in design and so the F-Sport bits add on to that by first having a unique spindle grille which has enlarged side air intakes that not only look sporty but aid engine cooling. The front grille and side air intakes have a black polished finish. The multi-LED headlamps (+16 LED lights) also feature multi-weather technology to avoid blinding oncoming traffic. The front fenders get F-Sport badging with unique 20-inch alloy wheels coming standard. The rear gets F-Sport design on the boot with a sporty lower bumper finish featuring chrome accents. Ultra white is offered as an F Sport exclusive colour. The LS F-Sport interior gets exclusive trim and finishes that mix luxury with a sporty feel starting with the F Sport front seats, which provides enhanced support for dynamic driving. A perforated-grille pattern on seating surfaces and unique scored aluminium trim elements add additional sporty flair. There is an F Sport steering wheel as well as a speedometer and tachometer in a movable meter with a ring that slides to display information a design adapted from the limited-production Lexus LFA supercar. The aluminium accelerator, brake and footrest pedals, as well as the F Sport perforated shift handle and footrest complement the ultrasuede in the seats and headliner. The new Circuit Red interior is available exclusively on F SPORT models. Comfort features already standard on the LS500 are kept on the F Sport model. 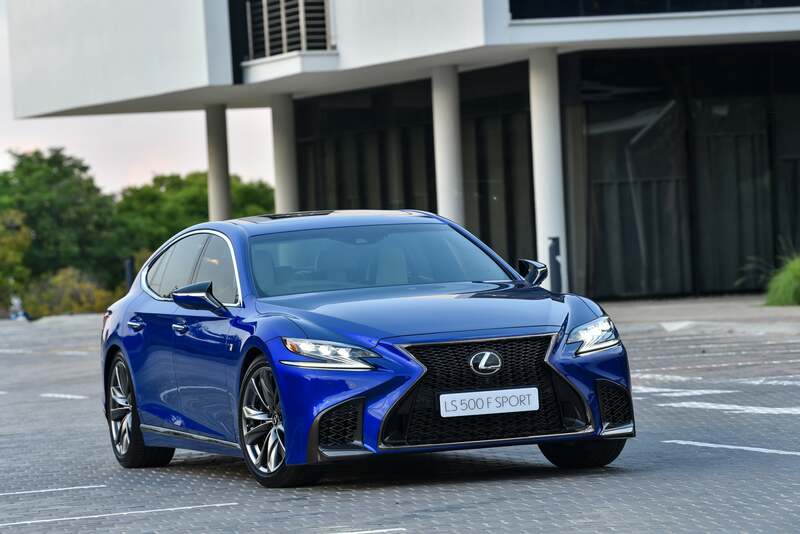 Powering the LS F-Sport is a new 310kW/ 600Nm 3.5-litre V6 twin turbo engine that powers the rear wheels via a 10-speed automatic transmission. 0-100km/h takes 5 seconds with a top speed electronically limited to 250km/h. Fuel efficiency claims are 9.5l/100km. The driver can tailor engine response and feel by choosing from Normal, Sport S or Sport S+ modes, and just enough of the exhaust note is heard to enhance the sporty feel. 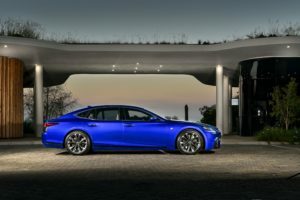 LS F SPORT models feature the latest generation of the brand’s advanced chassis control technology, Vehicle Dynamics Integrated Management (VDIM), which has been refined further. Opting for the F SPORT Handling Package equips the LS F SPORT with Lexus Dynamic Handling, Active Stabilizer, and sport-tuned air suspension with rapid height function. The Lexus LS 500 F Sport comes in at a R2 151 100 along with a standard 7-year/105 000km Warranty and Full Maintenance Plan. Service intervals are at every 15 000km.